Educated at the University of Kentucky, University of California at Davis, Mills College and New York University, Beth Anderson is a composer of neo-romantic music, text sound works and musical theater events. 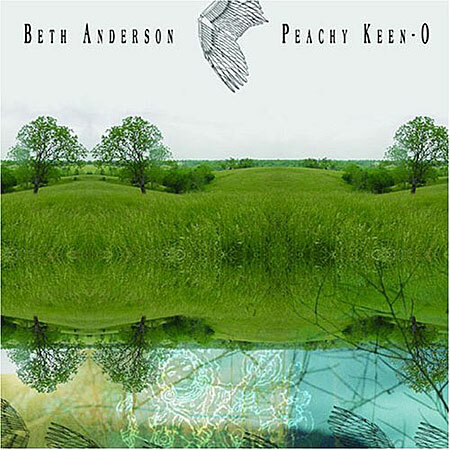 Peachy Keen-O is a 2003 CD collection of her early, non-academic, fence post-John Cage text sound pieces that span from 1973-79. Kicking off the album is “Torero Piece,” in which Beth’s mom delivers a touching essay about her troubled yet loving relationship with her daughter while Beth spits out a string of vowel and consonant sounds over the top. This track is simultaneously sentimental and strange. “Tower of Power” features a bunch of nice, dissonant organ blasts that result from the players’ arms smashing down all of the keys. As if that weren’t enough, it was recorded four times, then played back with a live performer doing the same thing over a bed of electronics, to very dense effect. You are currently browsing the archives for the Beth Anderson category.